After the great FlashEff2 giveaway from last week, I'm presenting you today another great contest on Marcofolio.net. This one is especially for all the WordPress and Flash lovers out there, since FlashMint.com is giving away premium WordPress themes to three lucky readers of Marcofolio.net! Read the rules below to find out how you can join this contest: it's pretty simple! If you're one of the three winners, you'll be able to choose one unique and professional WordPress theme created by FlashMint. Make sure you join this contest quick, since it ends on June 1st and you'll automatically receive information if you have won a prize. Good luck to everyone! 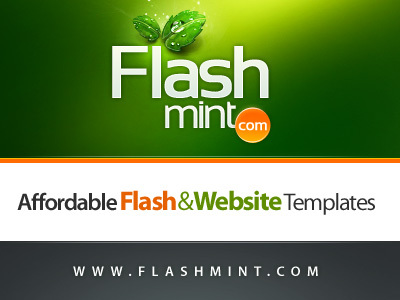 FlashMint.com Flash Website Templates provider is the high-end company in Design Industry offering the most qualitative and creative web products for immediate download. You'll be impressed with the quantity and variety of the delivered web templates, WP themes and Flash components presented in a great number of thematic categories and product types. FlashMint is the best choice if you plan to launch a personal page, business website, web blog or the most interactive portfolio website for your art works. Example: Simply leave a comment like this. I tweeted about this contest here: http://twitter.com/marcofolio/status/1909628794. That's all you have to do!